The 2018 racing season is here and the N2/WERA Endurance race registration is open for business. 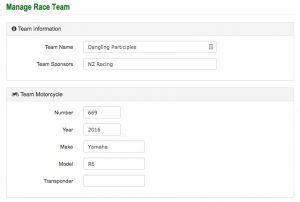 In an effort to make registration more seamless, team owners/riders can now manage race teams and register for race events (as well as track day events) using their N2 account. To begin registration, create an N2 account at https://my.n2td.org. Once you have logged in, you will notice “Manage Race Teams” and “Manage Race Events” in the lower left panel on your screen. 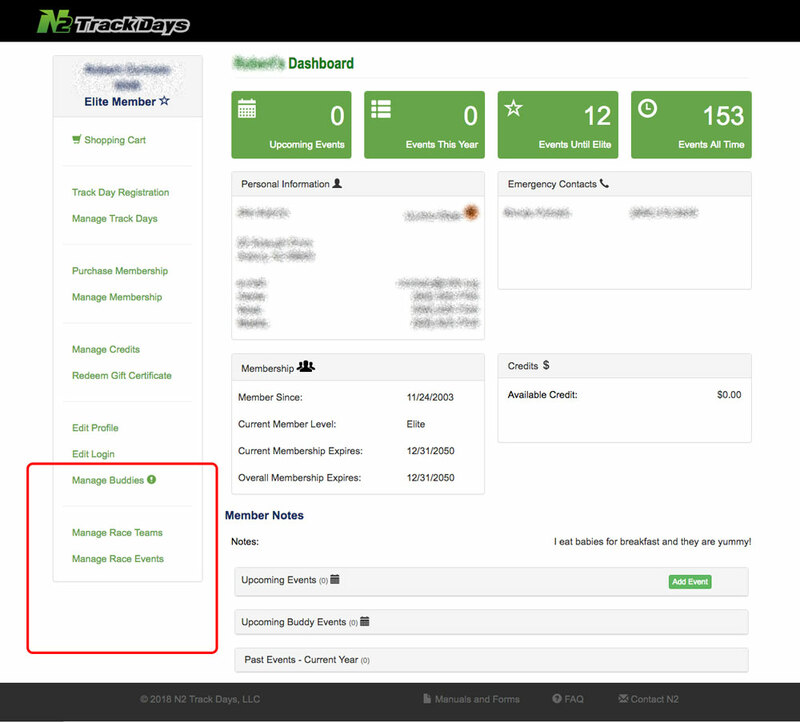 To create your first team, click on the Manage Race Teams link and begin entering information for each team. Note: The N2 account that creates each team is considered the team owner. Using this screen, click on the “New Team” link and begin entering your team’s information. Enter the team name, sponsors, bike information and transponder information. 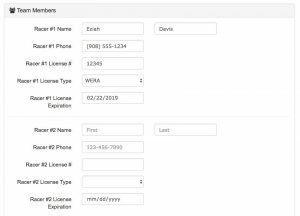 Below team information, enter the name, phone number, and race license information for each rider in the team members section. Once you have entered all of your team’s information, you may register for race events. Good luck and we look forward to seeing you this race season!